David Eugene Smith was born on 21 January 1860 in Cortland, New York, into a financially comfortable family. His father, Abram, had studied at Albany Normal School and, after graduating in 1853, had been a teacher for two years at Marathon, New York. He changed, however, to pursue a career in law. He was admitted to the bar in 1856, and in 1868 he became surrogate judge of Cortland County. His mother, Mary Elizabeth, had learned classical languages and natural sciences and made her son accompany her on many excursions into nature and to art expositions. In 1869, Smith enrolled in the practice school of the newly-opened normal school in Cortland. He completed intermediate studies in 1876 and gained admission to the academic department. This enabled him to take those courses in the normal school that were of a non-professional nature. From 1877 on, he studied at Syracuse University. During his undergraduate years there, his interests were marked by travelling, collecting objects and presenting his ideas. In the summer of 1879, he undertook a two-month trip to Europe - the first of his overseas travels. Thereafter, he organized an exhibition of ninety "specimens", including money, shells, and "antique relics". In fact, among the broad range of undergraduate courses were elocution and rhetoric. Smith was still far from mathematics education: after receiving a Bachelor of Philosophy degree in July 1881, he entered his father's second profession: he apprenticed in his father's law office. There he served as clerk and notary public while preparing for the bar. Smith combined this professional work with travels to Central and South America. He also continued his academic studies, by travelling twice a week to Syracuse and being advised there in graduate work in the disciplines of history, modern languages and mathematics. Eventually, in 1884, he was admitted to the bar and awarded a Master of Philosophy degree. A promising career as a lawyer seemed to be open for him. In that same year, however, an event changed his life entirely. He began to teach mathematics at the Cortland Normal School, at first by chance, in order to 'help out' by substituting a missing teacher. Since he had studied enough mathematics at Syracuse to be effective as a teacher, the principal asked him to accept the position. Finding the law profession not especially agreeable, Smith accepted and began thus his pioneering work for mathematics education in the USA. During the next three years, he continued not only his engagements as a lawyer, but also his academic studies. Eventually, in 1887, he was granted the Ph.D. degree by Syracuse University in history of fine arts. While the courses he taught at Cortland had been standard - arithmetic, algebra, plane and solid geometry, and trigonometry -, from 1887 on he introduced courses on history of mathematics. After seven years of teaching as a mathematics professor at Cortland Normal School, he was granted a leave of absence to study at Göttingen. Before he could embark for this centre of mathematics, he obtained the offer of the position of mathematics professor at the Michigan State Normal School, at Ypsilanti. Thus Smith came into direct contact with Felix Klein only some years later. At Ypsilanti, from 1891 on, Smith developed the kernel of his program for mathematics education. The normal school there, affiliated with Michigan University, had expanded to provide teacher education for all types of public schools - not only common schools, but also secondary schools. Smith, becoming head of the mathematics department, assured the academic level of teacher education, balancing the professional and the academic sides of the formation. He began to publish and became known as a mathematics educator not only nationally, but also internationally. He even published a review of a German textbook in the key German journal Zeitschrift für mathematischen und naturwissenschaftlichen Unterricht. During a trip in 1894 to Germany and France, he met the historian of mathematics Moritz Cantor in Heidelberg and the mathematician Rudolf Lipschitz in Bonn. Wishing to exert an administrative position, Smith moved in 1898 to Brockport, in the state of New York, as principal of the Normal School. While not teaching mathematics there, he published his first seminal contribution to mathematics education: the book The Teaching of Elementary Mathematics (1900), a methodology for mathematics teachers. After three years, in 1901, he returned to training mathematics teachers himself: at Teachers College, New York, the most prestigious institution in the United States, rivalled only by the school of Education at the University of Chicago. Originally just somewhat associated to Columbia University, Teachers College had evolved to be a professional school of university rank. Its students had to be college graduates or experienced teachers. By 1910, Teachers College had raised its status even more, and constituted a graduate college for professional education within Columbia University. Smith had been called to Teachers College in order to raise in particular the mathematics department to this level of quality. In fact, in 1906, the first Ph.D. degrees were conferred on two of Smith's students. Distinctive of his program was that teacher students should gain a historical perspective on teaching their subject. Smith retired in 1926. Due to his good relations with the mathematical community in the States, he served as an effective link between the demands of mathematicians and the needs of professional teacher training. 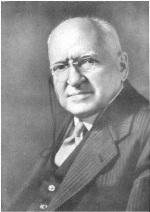 From 1902 to 1920, Smith served as an associate editor of the Bulletin of the American Mathematical Society. He also served as an associate editor of the journal of the Mathematical Association of America, The American Mathematical Monthly, from 1916 on. He was elected president of the MAA for the term 1920 to 1921. He helped to organize the Association of Teachers of Mathematics and was elected its first president. His publications were decisive in shaping mathematics education in the United States. His handbook of 1900 was followed by The Teaching of Arithmetic in 1909 and by The Teaching of Geometry in 1911. His textbooks in arithmetic, algebra, and geometry and accompanying handbooks, published since 1904, were dominant during the 1910s. He died at his home in New York City on July 29, 1944, after a long illness. When Smith began to teach mathematics, he turned his attention to mathematical artefacts. By the time Smith donated his collection to Columbia in 1931, he had gathered more than 3,000 portraits and autographed letters of famous mathematicians, and approximately 300 rare astronomical instruments and ancient counting devices. Today his enormous and unique collection of books, manuscripts, letters, medals, and instruments constitutes a part of the Rare Books and Manuscript Library of the Butler Library at Columbia University, New York. Smith enjoyed collecting for himself, but he also delighted in sharing his broad knowledge and insight with others. Beginning in 1901, Smith advised George A. Plimpton, head of the New York office of the publishing house Ginn and Company, on acquisitions for his collection of mathematical textbooks. By 1908, Plimpton had assembled the most complete library of arithmetic books printed before 1601. To make the collection more widely known, Smith prepared a richly illustrated catalogue, Rara Arithmetica (1908). Upon the proposal of Smith, the Fourth International Congress of Mathematicians, Rome 1908, decided to establish an international committee, the Internationale Mathematische Unterrichtskommission, to study the situation of mathematics instruction internationally. Also upon his proposal, Felix Klein, Sir George Greenhill, and Henri Fehr were elected as the core of this committee, later named its Comitè Central. Thanks to Smith's excellent contacts with mathematicians interested in education in many countries, it was also largely due to his advice that the national sub-committees were constituted. Evidently, he was also the dynamic element in the work of the US national subcommittee, constituted in 1909. His merits were acknowledged in 1912, when the next ICM in Cambridge elected him as one of the vice-presidents of IMUK. He continued in this position until the dissolution of IMUK, in 1920. When it was re-established, in 1928, Smith was even elected its president. In 1932, he retired from IMUK activities, too.